We pride ourselves as being a customer friendly shop having a long referral list of repeat customers. Though we are internet savvy but word of mouth publicity and satisfaction levels of our clientele are our USP. Our products are fairly priced since we follow the strict policy of ‘No Commissions’ to travel agents, auto or taxi drivers or travel executives. It wouldn’t be difficult to be advised by them with regards to cheap rates and superior quality goods at some other store where they would be benefitted with payouts by the stores. You wouldn’t imagine the kind of customer feedbacks that we hear of and on about versions of tourist guides and drivers and the blatant excuses they offer to avoid bringing them to the Neerja Design Studio. “They are on holiday today”, etc. 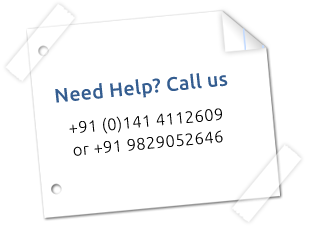 +91-(0)141 4112609, 9829052646 to know the fact and avoid being discouraged from visiting our studio. Looking to hire a Cab during your visit to Jaipur? This is a reputed travel service and the drivers are also very courteous, reliable and straightforward. We have always received commendable feedbacks about them. Try UBER (mobile app) and you will love it, it’s fast affordable, clean and reliable.